Forget hard-to-remember PINs and passwords. You can use your fingerprint to quickly and conveniently unlock your Galaxy A. And because your fingerprint is unique to you, this method makes it ever harder for anyone else to access your data. Your fingerprint can also be used with Samsung Pass*, which lets you access corporate accounts and applications with a simple press instead of a complicated password. Balance work and personal life with ease. 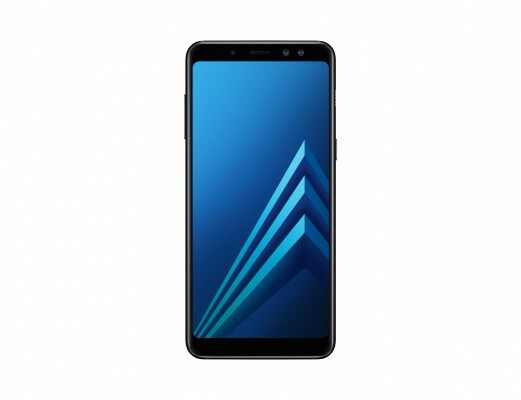 Samsung Galaxy A8 features the Dual Messenger*, that lets users set up two separate accounts on a single device with their preferred messenger app. Talk to co-workers and clients, or catch up with friends and family without wasting time logging in and out. You can add an extra 400GB worth of storage space to your Galaxy A8 via the MicroSD* card, giving you enough space to carry all your files and documents with you wherever you go. Access files straight from your phone without leaving your sofa, or add the finishing touches to your work at the weekend - it's up to you. Plus, with Dual SIM support, you can keep all your work and personal contacts together on one phone, without having to keep swapping SIMs over.